It’s 8am, the sun is already shining down on the lovely island of Cyprus and I am with my fabulous family. In fact I can hear the kids chattering upstairs and I suspect they’ll be down soon, full of energy for the day. All of this is amazing and I know how lucky I am to be here, so this is very much an observation not a moan! I just hadn’t ever thought before about how exhausting holidays are. This is my first trip post RA diagnosis, to be honest getting here was vile. There can be few greater tortures for an RA sufferer than being trapped in a plane seat for 4.5 hours, let me assure you! Add to that packing, driving to the airport, negotiating said airport etc and it becomes a day of extreme challenge and a lot of pain. My left hip in particular apparently hates being unmoving for that amount of time and was burning brightly for hours after the flight. But that’s why mother nature invented tramadol right?!! I arrived around 11pm at my brothers, so my first full day here was basically spent on the sofa reading and restoring spoons. Frustrating but I literally had no choice. Yesterday was better but it was mtx day, so whilst I was up at 7am I had to have an hours nap at 9.30am – all very rock n roll! 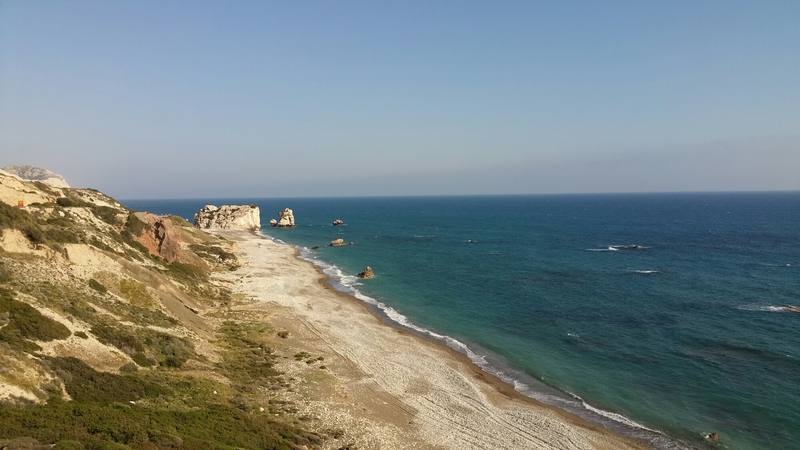 My plan was to see the Tomb of the Kings in Pafos, but energy levels just wouldn’t allow me to contemplate two hours hobbling around a hot archaeology site. I had a very slow walk around Pafos harbour instead, followed by lunch and a one hour boat trip along the bay, but again the frustration of plans thwarted, I love old ruins!! I have to keep reminding myself over and over I now have limits, if I want to function two days in a row I must limit my activity on both days, it’s that simple. Having never been one for sitting around on holiday (seriously people, there’s stuff to see!!) this is a new concept for me. However, I have my brother, his amazing wife and my gorgeous neices and nephews for company, so even the thought of the flight home will not remove my smile. And will I travel here again? Try and stop me, FURA!